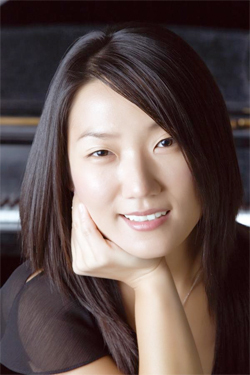 CHESTERTOWN, MD—The new Washington College Chorus debuts this Friday, Nov. 9, at 12:30 p.m. in Hotchkiss Recital Hall, Gibson Center for the Arts, under the direction of Douglas Brandt Byerly and accompanied by pianist Grace Kim. The free concert is expected to last about 50 minutes. Special guest artists are soprano Mary Anne Barcellona, who sang the role of Carlotta in Andrew Lloyd Webber’s “The Phantom of the Opera” and tenor Peter Drackley, who very recently performed the role of Parpignol in “La Boheme” with Lyric Opera Baltimore. The Washington College Chorus was created this fall to give students, faculty and staff who love to sing the opportunity to do so under professional guidance. 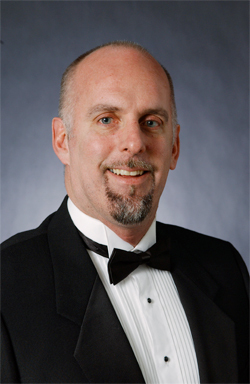 Chorus music director Doug Byerly is a lecturer in music at Washington College and a professor of music and Chair of the Department of Fine Arts at Anne Arundel Community College. Grace Eun Hae Kim is a lecturer and piano instructor in the Music Department.